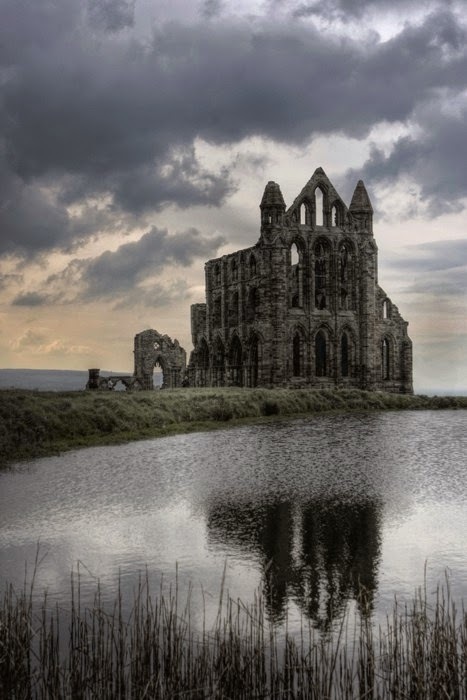 RETRO KIMMER'S BLOG: WHITBY ABBEY: BRAM STOKER'S INSPIRATION FOR DRACULA! 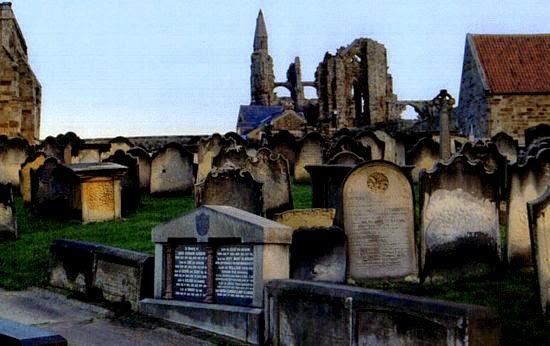 WHITBY ABBEY: BRAM STOKER'S INSPIRATION FOR DRACULA! Whitby Abbey, North Yorkshire, England. Whitby Abbey built in 657 AD is the inspiration behind Dracula's Castle written by Bram Stoker..
Whitby is the scene for a good section of the novel with the arrival of Count Dracula to England's shores aboard the Russian ship, the Demeter which runs aground on the shores of Tate Hill beach in the town's harbor during a fierce storm. 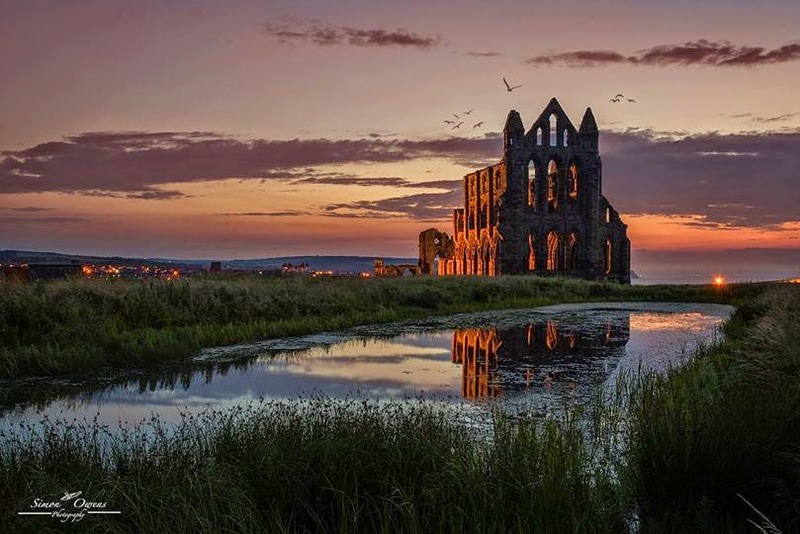 The most prominent landmark in Whitby is the ruin of Whitby Abbey, which was sacked by the Danes. As Stoker writes, "It is a most noble ruin, of immense size, and full of beautiful and romantic bits.... Between it and the town there is another church, the parish one, round which is a big graveyard, all full of tombstones". When Stoker visited the local library and borrowed a book entitled An Account of the Principalities of Wallachia and Moldavia (1820) by William Wilkinson. He took several notes from it (now part of his papers housed at the Rosenbach Museum in Philadelphia.) Though the information was sketchy, one item attracted Stoker's attention...a footnote that "Dracula in the Wallachian language means Devil." Stoker decided to change the name of his vampire Count from "Wampyr" to "Dracula".